WELCOME TO NJFIREPICTURES! Thank you for visiting NJ FIRE PICTURES. This site is owned and operated by Adam Alberti a Captain with the City of Passaic Fire Department. Photos taken by Adam have appeared in Firehouse Magazine, Fire Engineering, Fire Apparatus and Equipment Magazine, Fire Apparatus Journal, 1st Responder Newspaper and Fire News. His work has also appeared in calendars, textbooks, childrens books, and on numerous fire department websites. The purpose of this website is to archive fireground and fire apparatus photos not only New Jersey but from all over the country. All photos on this site are copyright protected. ***Attention Fire Departments*** I am always looking to photograph fire apparatus for my growing database. If you would like me to come and photograph your department please contact me at njfirepictures@gmail.com . You will be supplied with a free copy of High Resolution Digital photos that your department can use at no cost. All Photography is done using professional Nikon Cameras and Lenses. MARCH 3, 2019 - UPDATED BERGEN COUNTY APPARATUS GALLERY WITH ELMWOOD PARK ENGINE 3, FAIRLAWN ENGINE 973, ROCHELLE PARK ENGINE 1, AND SADDLE BROOK ENGINE 3. APRIL 11, 2019 UPDATES - ADDED TOPSAIL BEACH NC TO PENDER COUNTY GALLERY, AND NORTH TOPSAIL BEACH NC TO ONSLOW COUNTY GALLERY. NEW ADDITIONS TO SOMERSET COUNTY NJ FIRE APPARATUS - SOMERSET SEAGRAVE RESCUES, AND MIDDLEBUSH FIRE DEPARTMENT. 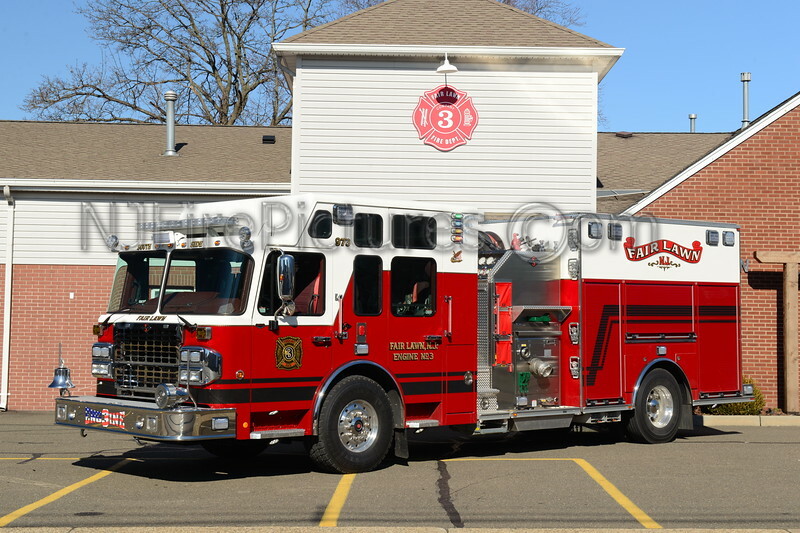 ADDED CHEESEQUAKE, AND EDISON ENGINE 3 TO MIDDLESEX COUNTY NJ FIRE APPARATUS. ADDED ABERDEEN ENGINE 63-1-76 AND RESCUE 63-1-87 TO MONMOUTH COUNTY NJ FIRE APPARATUS GALLERY.